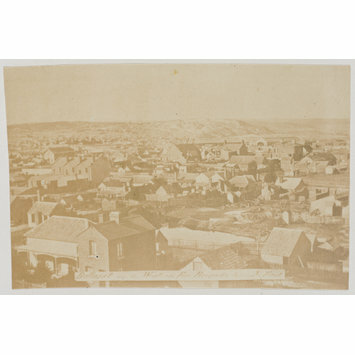 Photograph of houses/a built-up landscape. 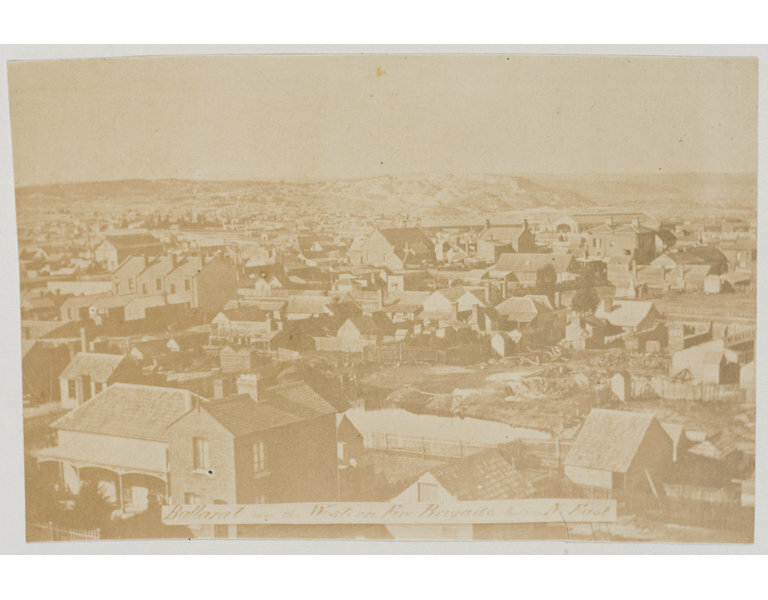 Photograph of Ballarat, Victoria, South Australia. 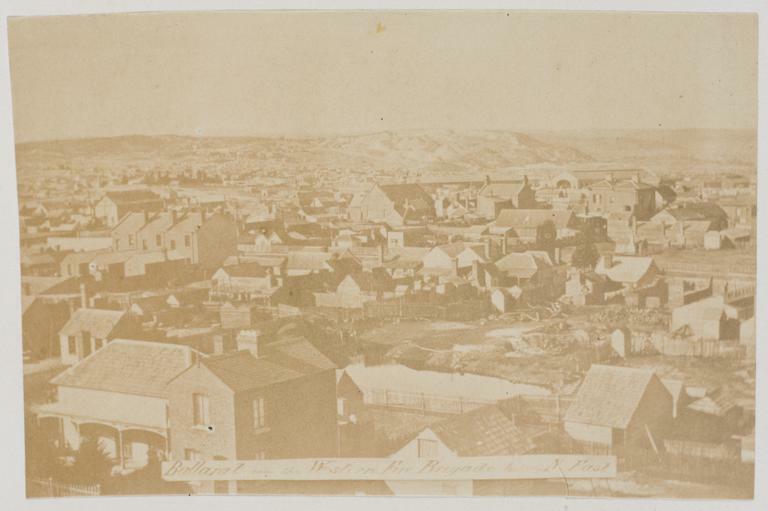 Taken c. 1865 by an unknown photographer.